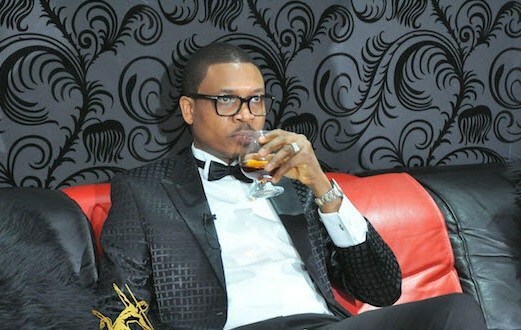 For the boss of Club Quilox and Aquila Records, Shina Peller, show business runs in the blood. Born to popular magician, the late Professor Peller, Shina used to join his father to perform wonders on stage. Today, he has mastered the art of entertainment, with his record label achieving various feats and milestones since it was established three years ago. In this interview, Peller talks about his journey into entertainment and why he’s running for political office come 2019. What inspired your record label, Aquila? I started the label about three years ago. I saw it as a way to give young and talented Nigerians an opportunity to develop their musical talents by showing them the way. I am a leader that produces leaders and I know that a lot of Nigerians have talent but don’t have platforms that can help them find their feet. The peculiar thing about Aquila Records is that all the artistes are fresh. They are artistes I discovered by myself. You know that it is not easy to groom an artiste from zero to super star. But with what we have done in three years, I give thanks to God Almighty that we have been able to achieve what we have achieved so far. We are not stopping. We are not going back, we are shooting forward. We will be celebrating our third anniversary as a way of appreciating people that have paved the way for us, and also to showcase to the general public what we really have in stock for them. You obviously grew up in an entertainment family, your father being a magician, could you tell us about your growing up? Yes, I grew up in an entertainment family. My dad, Professor Peller, was the greatest magician that Africa has ever seen, and while we (the children) were in school, we used to attend shows with him. During holidays, we went with him on tours so that we could help him on stage. I remember I acted as stage assistant to my dad. You can see that I got that from home. What are the challenges you face running a record label and nightclub? We face a lot of challenges. One of them is the burden of work from artistes. Each of our artistes has at least 10 songs to put out and I can’t release songs at that rate, because we need to push those songs out properly. We need to make life easier for these artistes by promoting the songs. These artistes have good songs but they have nobody to promote them. So, I believe we should find a way to encourage artistes in such a way that content can easily be heard on radio and television for free, because most times, you have to know who knows who, you have to be able to find some money to put artistes’ contents in circulation. That is one challenge for us and also for the artistes themselves. Apart from entertainment, what other things do you do? I do a lot of things. I do house functions. I do oil and gas. I do government contracts, and we are also starting a new initiative called ‘Book Artist’. Book Artist is a company that comes into play for obvious reasons in the industry. There is no online platform where you can book any artiste that you want. So, I just decided to do that. Problems often come up between the label and artistes; how do you manage such issues? Something like that does not happen in Aquila because we are like a family. I have a relationship with most of my artistes. If not for documentation purposes, I can work with my artistes with no agreements or documents, because they know that my main focus is to make them great. When you want to do that, you just focus on achieving your aim, which is what I do. But I know that, in the industry, fame is something else. When people become famous they decide to break free. What is your yardstick for accepting an artiste on your label? Talent is number one, but I would say talent is about 10 percent of the qualities we want. But most importantly, I look forward to artistes with loyalty and the ability to learn. At what point do you start expecting profit from an artiste? Before you can start expecting profit from an artiste, you need at least three good songs, because you have to introduce the artistes to the general public and they need to sink into their heads, and for you to do that, we make sure you have at least three songs. What is your assessment of the state of the nation? Definitely, everybody is not happy with the state of the nation. But in as much as we believe that things should be better, we should always thank God that things are not getting worse. What this administration has done is to stabilise the situation because Nigeria was already losing it, and that was one of the reasons that made me want to go into politics. I had said several times that I would not go into politics. But it is only a fool that doesn’t change his mind. When you see things go bad, at least for the sake of the downtrodden, I just feel like it is high time we took our future in our hands. Which office are you running for? I will be representing my people at Iseyin, Itesiwaju, and Kajola Iwajowa Federal Constituency come 2019. What should people expect from you? As a successful businessman, I believe I should be able to run a successful political office. A lot of people expect politicians to do things for them, but what we should actually expect from politicians is an enabling environment for things to function, because when things function properly, you will not just be expecting a particular thing or person to bring results, and that is my focus. I want to focus on making government institutions functional, and also, to ensure that the general public has access to every government service. You don’t have to be a billionaire before you have access to government service. Regardless of your class, regardless of who you are, our institutions should function and also the general public should have access to every service from the government. I used to see myself as a businessman, so I believed I would never go into politics because it is a dirty game. But after looking at it (critically), I realised that it is through politics that you elect leaders that will affect your policies, business and life. I met my wife while in Obafemi Awolowo University. No, it wasn’t love at first sight; we were friends before we started dating. How do you handle women, money and fame? I try my best to handle them, but my philosophy is ‘treat people the way you want to be treated’. It’s my first outing in nightlife business. You know, I came into nightlife business as a partner, from Grotto, and I was able to take the company from zero to greater heights. But after the partnership got dissolved for some reasons, it was a great disappointment to me and I don’t like to be disappointed. I live with no regrets because I see the worst things in life to be inevitable. Life is death and it is inevitable, and no matter the situation, I am sure that’s not regret.